The Florida Book Review features reviews of books with Florida settings or subjects, as well as event coverage and essays about Florida's literary history. We are glad you have found us here at FloridaBookReview.net. We are adding more material all the time. Come in and sample our reviews and features. Read our Book Fair Blog. And our blogging of other literary events. If you'd like to join our mailing list click here. Check out The FBR Book Fair 2018 here. 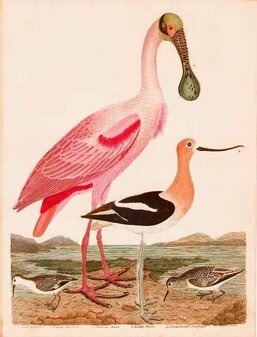 Left: 2018 Miami Book Fair International poster by Luis Valle. Learn more. In his collection Dead Aquarium, "Caleb Michael Sarvis often immerses the reader in a realistic narrative for several pages before an unreal or absurd element briefly intrudes, such as when, in the novella 'Emerson,' a character talks about his job selling 'lunar real estate,' writes our reviewer Phil LaPadula. "But after such brief moments of fantasy, the reader returns to stark reality, following quirky and tragic characters living on the fringes in Florida." 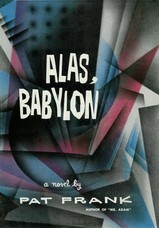 Read the review on our Fiction page. Reviewing Lauren Groff’s short story collection, a 2018 National Book Award finalist, FBR's Pamela Akins writes, "Groff's Florida is an “Eden of dangerous things”—snakes, sinkholes, hurricanes, homelessness, adult venality, governmental malpractice—where her heroes are those who do what it takes to keep loved ones safe." Read the review on our Florida Fiction page. Tiffany Quay Tyson's The Past is Never begins in rural Mississippi in the 1970s when a six-year-old girl disappears while swimming in a local quarry reputed to be cursed. The novel follows her older sister Roberta, known as Bert, in a coming of age story that, writes our reviewer, Jessica Borsi, "has her contending with familial strife, mental illness, crime, and ultimately a world, whether rural Mississippi or the Everglades, that wants to keep its secrets." Read the review on our Fiction page. Check out FBR's reviews of these award-winning Florida novels. In Lori Roy's The Disappearing, Lane Fielding, now a divorced mother of two, returns after twenty years to her hometown of Waddell, Florida, only, writes Ed Irvin, "to find that small towns never forget and history has a way of repeating itself." The press is agog at reports of alleged abuses by her now-aged father at the boys' school he once ran, and new mysteries raise tensions higher. "This novel is Southern Gothic at its finest, featuring flawed characters you empathize with because Roy makes you understand their motivations as authentic, although misguided," says Irvin. Read the review on our Crime Writing page. Lauren Doyle Owens’ debut novel, The Other Side of Everything, takes the reader to Seven Springs, Florida, where, writes Victoria Calderin, "the murder of Adel Minor in her own kitchen sets the stage for the unraveling and subsequent slow braiding of the lives of the residents of this town who are forced to reevaluate and confront tragedies both large and small when faced with the presence of a serial killer." Read the review on our Crime Writing page. Catch up with more Florida mysteries on our Crime writing page. "The story begins in 1975 with the discovery of a sixteen-year-old girl’s body, bound and shot in the back of the head, execution style. Protagonist Malcolm Anderson, reporter for the fictional Miami Journal, scoops the story and sets out in search of further material, putting the book on what appears to be a standard amateur sleuth path. Read Havlina's reconsideration on our Classic Florida Reads page. In Cathy Salustri's Backroads of Paradise: a Journey to Rediscover Old Florida, the author follows the auto routes laid out in the 1939 Works Progress Administration publication Florida: A Guide to the Southernmost State. "More than just an updated guide to these driving tours, Salustri’s book is also a memoir, a meditation, a lament for the Florida that was, and an outpouring of love for the 'not just one Florida, but many real Floridas' that are," writes Natalie Havlina. Read the review. In Music Everywhere: The Rock and Roll Roots of a Southern Town, Marty Jourard (of The Motels) looks at how Gainesville "was a southern town but it was also a place where a multitude of different cultures and people gathered," and how this mixture nurtured a music scene that produced Tom Petty, Steven Sills, and many other musicians, says our reviewer, Daniel Santos. A particular asset of the book is that, as Jourard takes the reader through the 1960s and 70s, he provides "a full playlist of the top songs of the corresponding year as well as particular songs of bands that will be covered in the chapter." Read the review on our Arts & Architecture page. 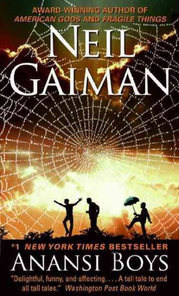 Daniel Santos rereads Anansi Boys, Neil Gaiman's 2005 fantasy novel set largely in Florida, and finds it still dark and hilarious. In addition, because of Gaiman's use of Traditional African and Caribbean religions, Santos says, "...those interested in seeing a different, more realistic, side of Floridian culture and beliefs will find this book to be intriguing." Read this FBR reconsideration. 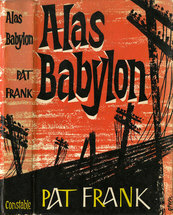 Frank Tota reconsiders Pat Frank's vision of post-apocalyptic Florida in his 1959 novel Alas, Babylon here. "Jesse Lee Kercheval’s Space can be described as a memoir masquerading as cultural anthropology or cultural anthropology masquerading as memoir, but either way, it is a compelling read," writes Madeleine Blais. Read her reconsideration of this just-reissued award-winning book that takes the reader to 1966 Cocoa as Florida moved from swamp to space age. Irving and Me, published in 1967, was written by New Yorker cartoonist and popular writer for young people Syd Hoff. 1977 marked the debut of Judy Blume's Starring Sally Freedman as Herself. Both authors were themselves transplants to Florida, and their books tell the stories of young people uprooted to Miami. Dina Weinstein (a transplant, too) reconsiders these two Young Adult books on our Classic Florida Reads page. Dina Weinstein takes a look at Robert Kimmel Smith's 1976 novel, Sadie Shapiro in Miami, and finds those Florida crime staples, comically wacky building schemes and swindlers, but the book's real strength is its "timelessly funny and refreshing protagonist," Sadie Shapiro, "an unlikely geriatric celebrity." Read this Florida Book Review Reconsideration our Florida Crime Writing page. Bob Morison says of Hotel Scarface: Where Cocaine Cowboys Partied and Plotted to Control Miami by Roben Farzad: "In the early 1980s, when Miami was the capital of cocaine, murder, and illicit cash flow, the Mutiny hotel and club at Sailboat Bay was the place to conduct the business of drug dealing, as well as partake of all attendant debauchery. Roben Farzad introduces the Mutiny as 'a fantasyland for outlaws in the hellscape that was Cocaine Miami' and 'a criminal free-trade zone of sorts where gangsters could both revel in Miami’s danger and escape from it.' Read the review on our Florida History page. 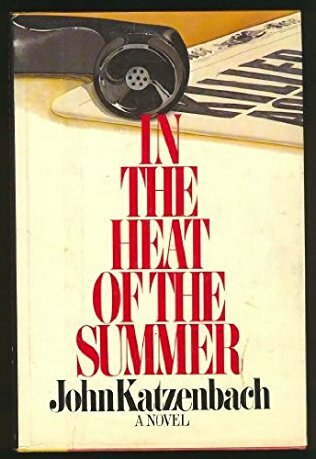 Of Steve Lambert's poetry collection, Connor Nelson writes, "Heat Seekers is the dirt underneath the fingernail of Florida—people you look past at the gas station, shady street corner business you pretend not to notice, the insect comfortable on your motel room ceiling, death—and, like a Floridian, these poems don’t mind showing a little skin." Read the review on our Poetry page. FBR's Bonnie Losak writes,"Terry Ann Thaxton is a fifth-generation Floridian, an anomaly in Florida, home to so many who have arrived here in search of an escape, some from cold winters, others from the cold reality of poverty and despair that have come to define their homelands. Her third poetry collection, Mud Song, focuses on Florida landscape and experience in a way that calls to both those who live here and those who reside elsewhere." Read the review on our Poetry page. Reviewing Sarah Gerard's essay collection Sunshine State, Pamela Akins writes, "That she unwinds these mini-memoirs and investigative stories in our southernmost state known for its teeming life, bright light, and easy living lends them an ironic poignancy: the good life may not be all it’s cracked up to be, and there’s more than one snake in paradise." Read the review on our Nonfiction Page. Our reviewer Victoria Calderin says that before she began reading Jeff Klinkenberg's Son of Real Florida, she worried it might be another book reinforcing "stereotypes of my zany and often mocked home state." Instead, she found "a two-hundred page serving of home." Read the review on our Nonfiction page. "We all know that Florida is a weird place. But is the weirdness contagious? Craig Pittman thinks so and makes the case in Oh, Florida! How America’s Weirdest State Influences the Rest of the Country," writes our reviewer Bob Morison. "FBR features extensive coverage of Florida strangeness, but this book is the mother lode." Read the review on our Nonfiction page. Of this new science fiction novel, the start of a series that originates in Florida, Daniel Santos writes, "On the surface, Louis K. Lowy’s To Dream: Anatomy of a Humachine I is a troubling tale of a future where corporations rule whole worlds and life is as cheap as dirt. However, hidden beneath the grime is a touching story that explores the transcendence of love between a mother and son and what it means to be alive." Read the review. Among National Football League teams, writes Bob Morison, "none can match the futility of the Tampa Bay Buccaneers in their first two seasons in the league: 0-14 in 1976, then 0-12 in 1977 before winning their last two games of the season. Lifelong Bucs fan Jason Vuic has a thing for losers. One of his other books is about the Yugo, the worst car in history." Read Morison's review of The Yucks! Two Years in Tampa with the Losingest Team in NFL History on our Florida Sports page. What's a “propagule”? A "freedom lawn"? What are the facts and myths about planting a Florida garden that resists invasive species? Jonathan Louis Duckworth reviews The Art of Maintaining a Native Florida Landscape in which Ginny Stibolt "celebrates the state’s native plants and provides roadmaps for readers to honor Florida’s native ecosystem in their own gardens and landscapes." ﻿Read the review﻿. 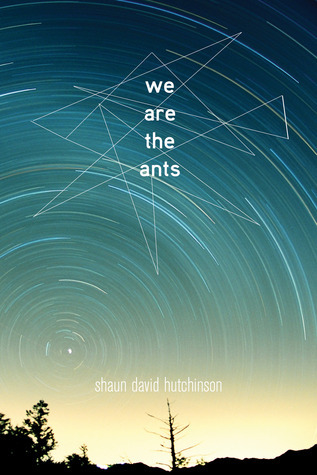 “If you knew the world were ending, and you had the chance to stop it, would you?” This is the question posed by aliens to troubled Calypso, Florida teen Henry Denton in Shaun David Hutchinson’s YA novel We are the Ants, which our reviewer, Daniel Santos, says is less about science fiction than about "a teenager struggling to survive in a world where there is little good." Read our review. In The Allure of Immortality, Lyn Millner tells the story of turn-of-the century cult-leader Cyrus Teed and his followers, the Koreshans, who he led from Chicago to "the harsh and beautiful landscape of southwest Florida," where in Estero they sought to prove their "hollow earth" theory. Our reviewer James Barrett-Morison says, "Millner's writing is historical journalism at its finest, combining a refusal to bend the facts with beautiful and enthralling prose." Read the review. Peggy Macdonald's biography Marjorie Harris Carr: Defender of Florida's Environment is "a fascinating history of the environment and gender politics in Florida, a detailed chronicle of an extended legal battle between environmentalists and the Army Corps of Engineers, as well as a daring and tender love story," writes our reviewer Lauren Rivera. Read the review. Of Jack Kerouac's two periods living in Florida, "The first stint, in Orlando, stretching between 1957-58, was incredibly productive though relatively unknown," writes Ariel Francisco, who finds clues in Orlanda Blues, a section of Kerouac's Book of Blues. Read our feature here. Above: The cottage in Orlando where Kerouac and his mother rented rooms in the back. Today the restored house is the site of The Kerouac Project, which runs writers' residencies and other programs in Central Florida. Patrick D. Smith's novel A Land Remembered has become a beloved classic, taught in Florida schools. After reading it for the first time, Pamela Akins says, "every newcomer to the Sunshine State should read this 1984 action-packed saga of the taming of the Florida frontier. It not only offers a glimpse of what has come before, but what we are fast losing." Read more on our Classic Florida Reads page. Marjorie Kinnan Rawlings was not prepared for the challenges she'd face when she when she moved to "the segregated backwoods of Alachua County, Florida, in the 1930s." But, says Lauren Rivera of Rawlings' 1942 memoir Cross Creek, "She prevails, thanks to the advice and intervention of neighbors, her ability to write about the experience, and her gun." Read Rivera's reconsideration on our Classic Florida Reads page. Pam Akins asks, "If a picture is worth a thousand words, what does one say about 100-plus photos from a time and place of bygone beauty and primordial mystery?" Enchantments, edited by Jerald T Milanich and Nina J. Root, showcases photographs taken by "Julian Dimock and A. W. Dimock, when they sailed and paddled through the waterway wilderness of Southwest Florida and the Everglades during the first decade of the 20th century." You can read Akins' review of this coffee-table book that illuminates Florida's history and environment, on our Art & Architecture page. Jen Karetnick's Mango "holds out delectable mango recipes and invites us to try," says James Barrett-Morison. Read the Review. Cheers! Bob Morison reviews The Great Florida Craft Beer Guide by Mark DeNote.